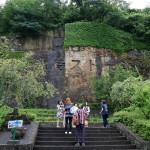 Unnan City is filled with abundant nature. The mountains loom overhead like giant green waves. If you separate yourself from the city even a little bit you soon become swallowed up in those mountains, but this is certainly not a bad thing. 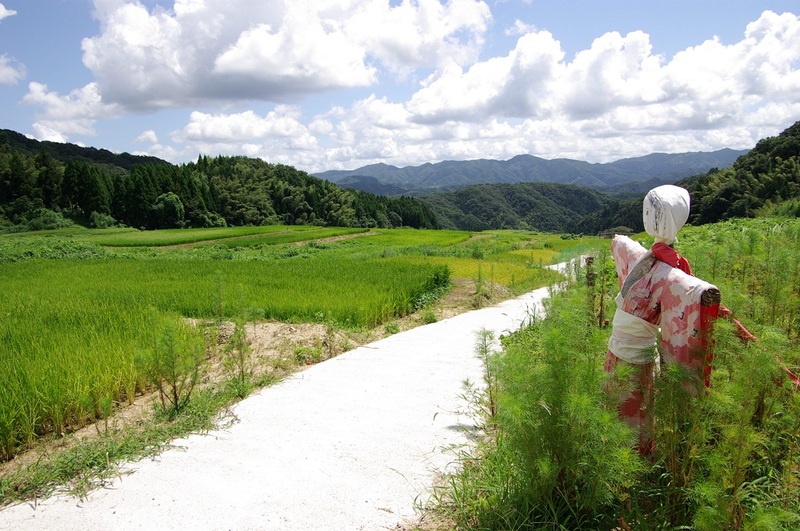 There are many small villages and hamlets where you can witness traditional Japanese rural agricultural life. 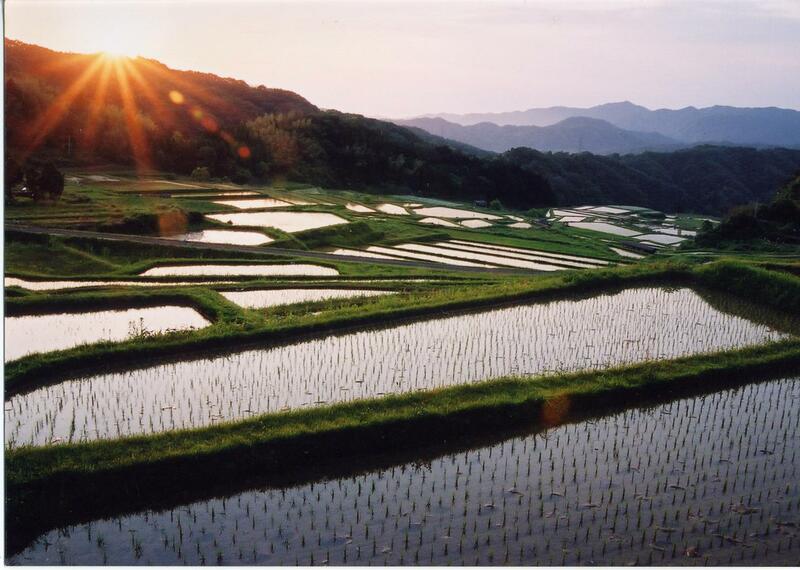 Among these villages is San’ouji, which is ranked in the top 100 of terraced rice fields in Japan. 100 people, or approximately 35 households collectively tend to the fields, and if that is not enough then regional volunteers will work to plant and maintain them. 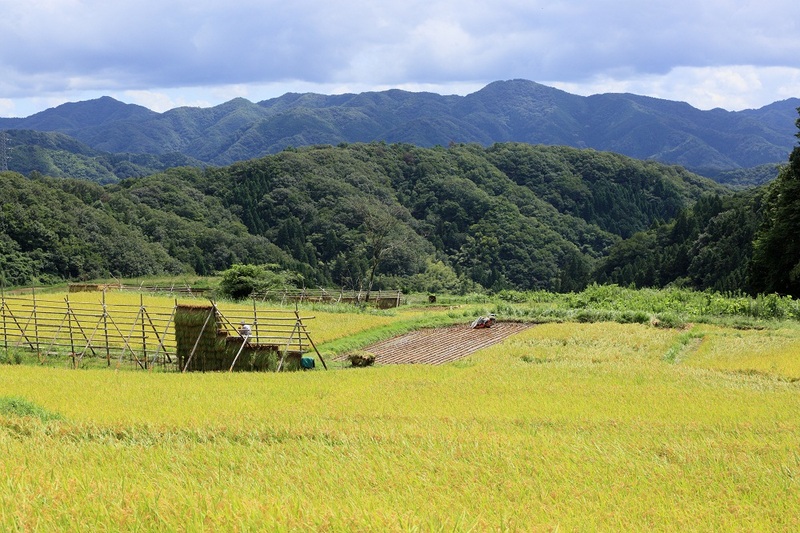 Mr. Atsushi Takuwa has been managing the terraces at San’ouji for three years, and as the representative for the Mountain Living Research Center, Managing Director of the Japan Ecovillage Research Society, and Forest Instructor for Shimane Prefecture, his knowledge runs deep. According to Mr. Takuwa, the 7 billion people living on Earth are consuming more than 1.5 times the amount of resources the planet can provide. Naturally there is a discrepancy with developed countries consuming much more than undeveloped countries. If this persists, the world’s resources will run dry so we must come to understand the value of these resources and return to a balance with nature. Instead of seeing money as the only capital we must also see natural resources as capital and strive to live in nature. This is called “ Village Capitalism.” In other words, instead of seeking material happiness we should find happiness found in a life of cooperation with each other and nature. I personally learned many valuable lessons about the balance between humans and nature. Plants such as bamboo grow very quickly, and swiftly take over unused land. However, if people cut down and use that bamboo it can stave off problems and preserve the precious space that can be used for agriculture. 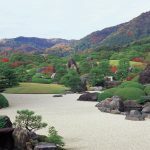 Multiple examples of this exist in nature, and in many rural areas in Japan nature is winning at the expense of usable land already scarce due to the mountainous terrain. The question is how to convince people of the severity of the problem. 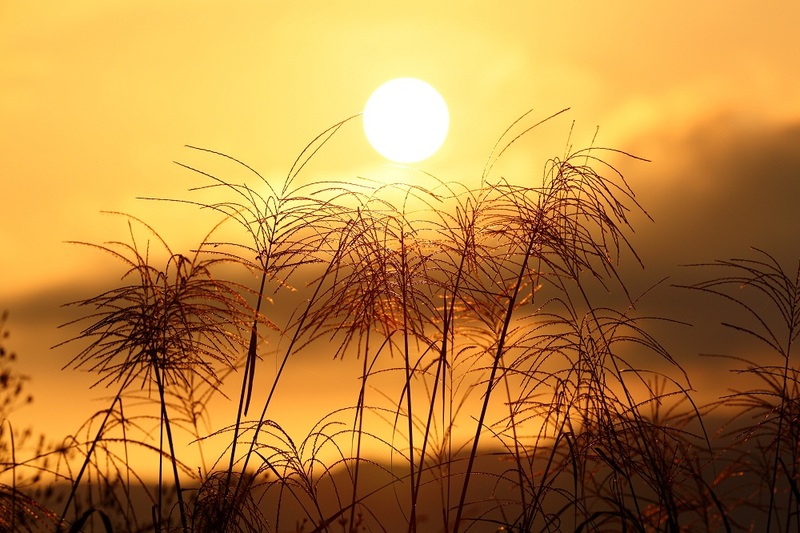 Mr. Takuwa says the answer lies in the age old quote “money can’t buy happiness.” Part of the issue lies in the fact that many have forgotten their ties to nature and would not know how to sustain themselves were the need to arise. By extension, they do not know the satisfaction in such agricultural act ivities. Experience is the best way to learn such satisfaction. 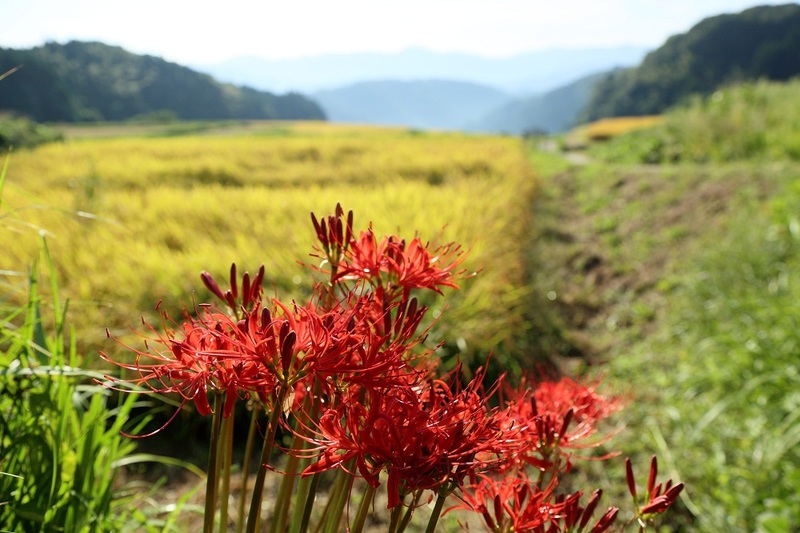 San’ouji is often host to student groups and groups of the mentally disabled who can experience agriculture, such as planting rice and beans, and maintaining and harvesting crops. Such act ivities, Takuwa suggests, have a profound healing effect and offer opportunities for education and personal growth. This “green energy” can only be found in nature. 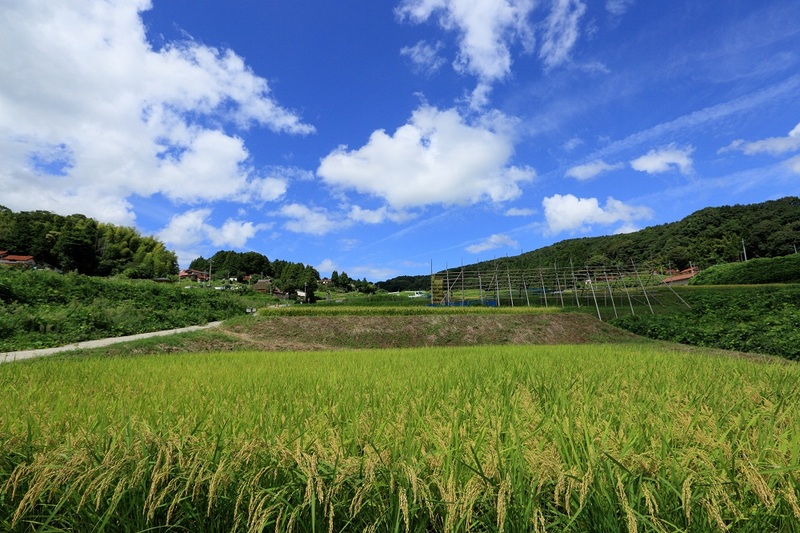 Gazing at the seedlings of rice for a short while is a beautiful sight, but I decided to ask Mr. Takuwa about how the view changes over time. 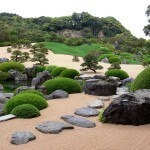 “When one seedling multiplies into 30, the green color becomes darker. The view changes every time I look at it.” However, I was cautioned to not only look at the fields, but to look at the surrounding scenery as well to appreciate it properly. 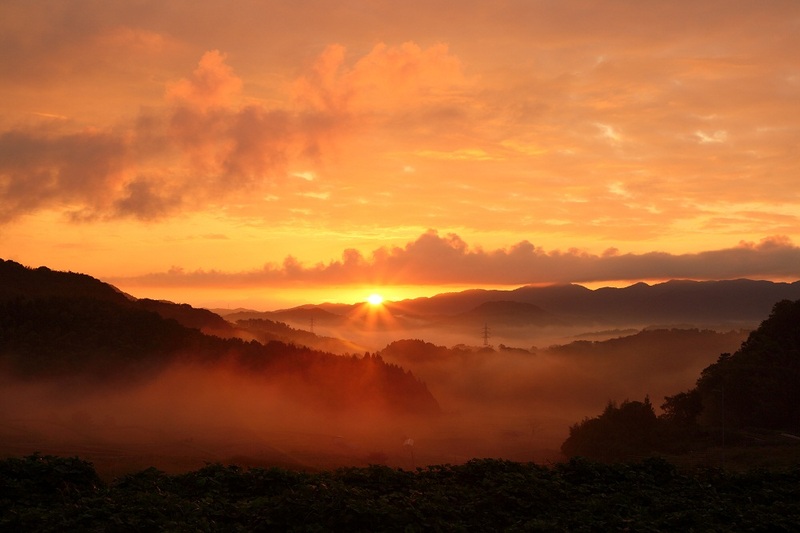 According to Mr. Takuwa, the most beautiful time is on certain mornings when clouds descend from the mountains to cover the fields in mist. This is called the “sea of clouds.” I was also taught that the long, deep green of the seedlings prior to harvest make for a wonderful view as well. I wanted to see it too. 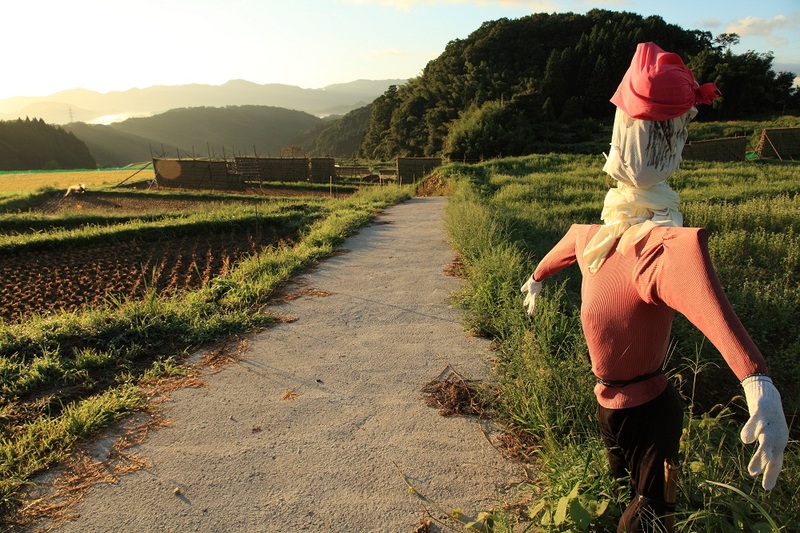 The views and lifestyle of San’ouji cannot be preserved by one person, but if everyone were to learn about mountain villages and nurture their consciousness, there just may be hope left.